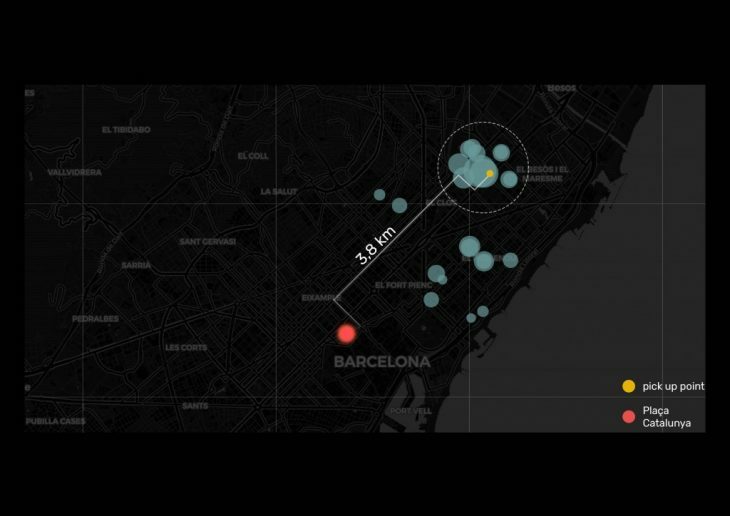 The aim of the project is to understand the cities’ behavior at night particularly concerning movements and public transportation. Our analysis is based on a specific Uber data. Let’s start from some introduction about this international network company. Uber is a very quickly developing company which gives a lot of opportunities to citizens, it helps to make a great money for those who wants to work independently, to set their own schedule as well as it provides comfortable and very flexible trips practically everywhere.Taking into consideration this diagram that presents extremely fast increase of revenue through 4 years we can realize how successful it is. Our analysis is built on Uber data because speaking about urbanism we suppose that nowadays its significantly important to follow the current situation. It’s not enough to use the data which has been collected through the years , We have to take into account sweeping changes which occur practically every second in our modern cities. 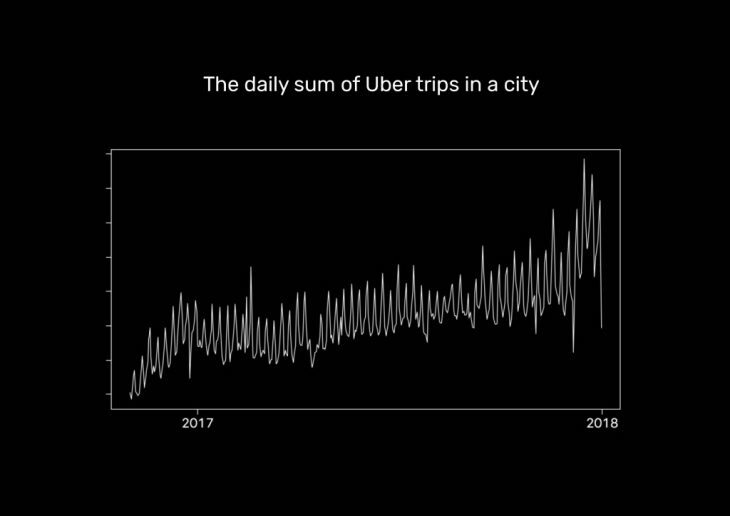 This diagram demonstrates the average daily use of Uber in a city , as we can see it has been growing significantly and it means that there are more opportunities to understand a behavior of cities due to movements in a real time. We believe that this method of analysis is really valuable in a modern urbanism. However, we decided to focus on another plot, namely Sant Marti. This area is growing and developing nowadays. In recent years, a series of creative hubs have found their home there. Cultural and commercial spaces attract people, however, this area is not very well connected to network, definitely we can say that there is a lack of public transportation and it’s difficult to reach the place particularly during the night and we wanted to understand how Uber behaves in this situation. So we have found all bars in the area using Python and have started our research. 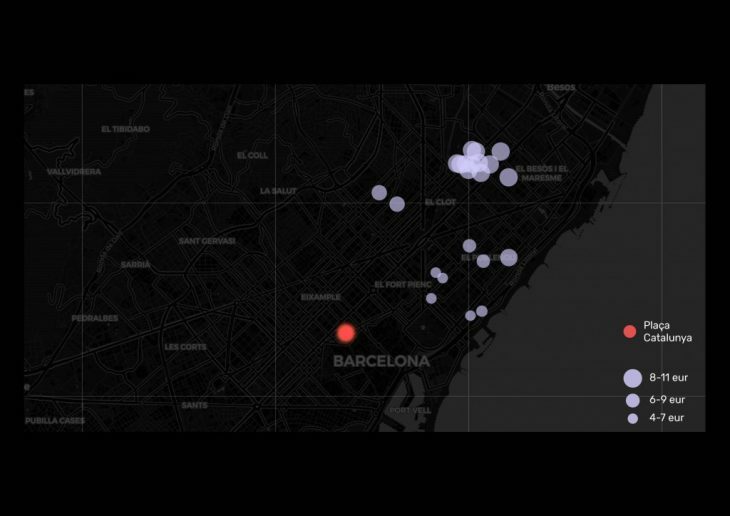 There are 25 bars mostly concentrated in two parts of the are: Poblenou and SanMarti provincial. 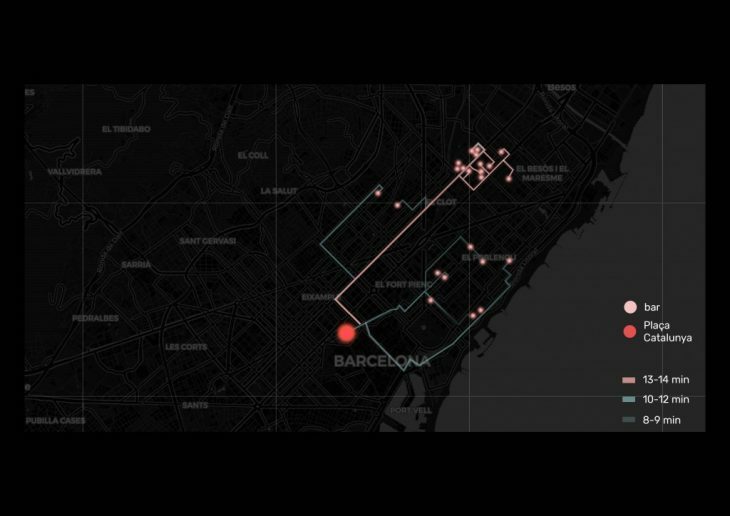 Usually people go from different part of the city to the center, but we have opposite: peolple will come back from bars to the center and we have chosen Placa Catalunia as this point. 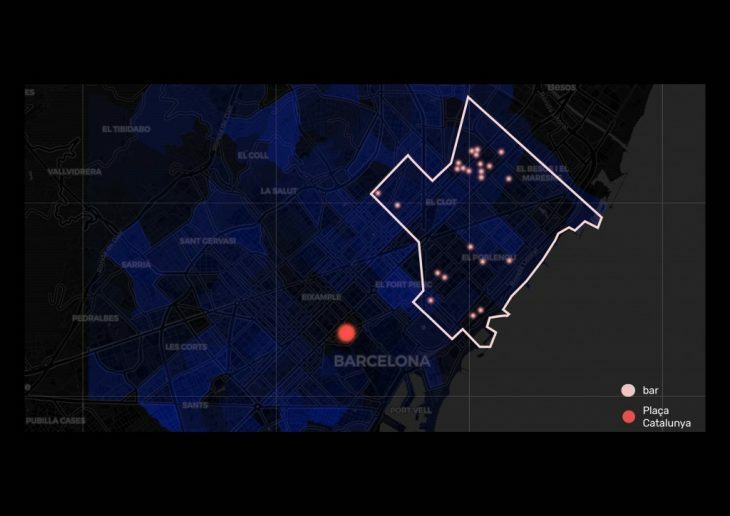 The captured information helped us to realize that uber is not relevant in this area because its quite expensive and the duration of pick up is huge , particularly in the area of Sant Marti provincial. Uber POOL is a shared Uber ride that allows you to split the cost of your ride with a stranger who is headed in a similar direction as you. Your riding companion is automatically selected based on their location and final destination. 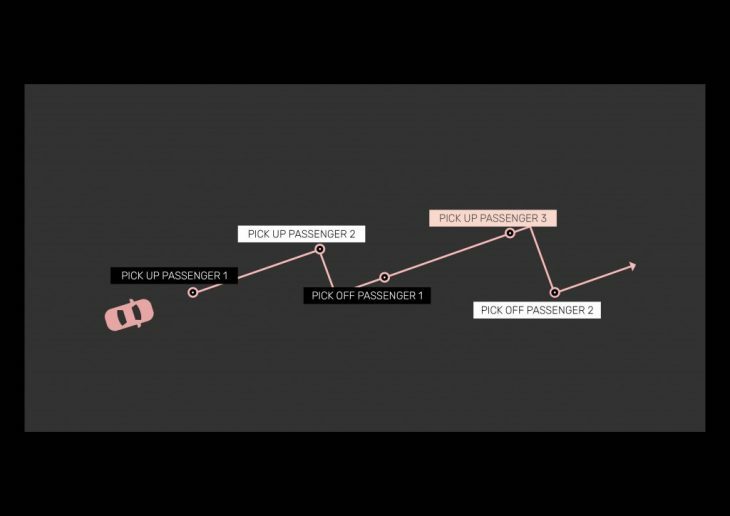 The Uber app determines who will be picked up first, and who will be dropped off first. Uber POOL is cheaper than UberX.